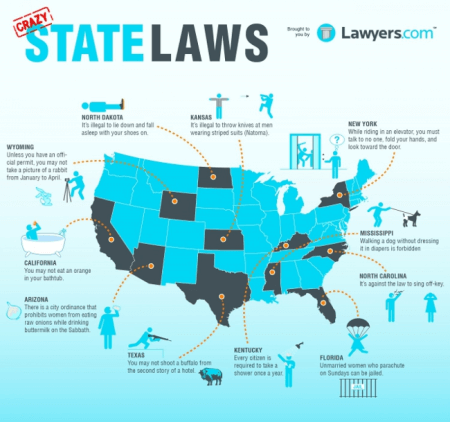 In the US, laws are created at either the federal level or the state level. This article seeks to highlight the major differences between the two. Federal law is the law created by the federal government. The Constitution of the United States grants the federal government power over state governments in terms of legislative power. The federal government can pass laws that concern national defense, foreign affairs, interstate commerce, and the nation’s currency. The US Supreme Court makes the final decisions on issues concerning federal laws that they choose to preside upon. Federal laws are all based on the US Constitution which gives the government authority and responsibility while upholding the basic rights of every US citizen. Federal laws are created by the US Congress. The House of Representatives and the Senate pass a bill which the President signs into law. Any conflicts that may arise under any laws passed by the US Congress, an executive order of the President, or a federal court decision, are governed by federal law. However, federal courts have the power to strike down laws if they are deemed unconstitutional. There are instances where a state law directly contradicts federal law. When this happens, federal law prevails. For instance, the recreational use of marijuana is legal in Colorado and Washington. However, cannabis is still an illegal substance under federal law, and individuals in possession of, and growing such substance still run the risk of getting apprehended by federal authorities. Federal law governs issues involving immigration, bankruptcy, federal criminal violations, and patent and copyright laws. State laws are laws created by each individual US state. Every US state is sovereign and has its own state constitution, state courts, and state government. The state laws that govern a state apply to its residents, visitors, business entities, organizations, and corporations operating within that state. Each state also has a legislative branch responsible for enacting state laws and an executive branch that enforces said laws. The judicial branch interprets, applies, and can even overturn state laws and regulations. State supreme courts have the final decision on state laws and institutions until their interpretations present a federal issue. In such a circumstance, the case can be brought to the Supreme Court. State laws have grown widely diverse throughout the country’s history, so much so that the US wouldn’t fit as a single legal system. Instead, it must be regarded as 50 independent legal systems of criminal law, family law, contract law, and so on. So what’s the difference between federal and state law? Federal laws are created by the federal government. The House of Congress passes bills that the President signs into laws. State laws are created by each individual sovereign state. Each state has its own legislative body that creates the laws and an executive branch that enforces the laws. 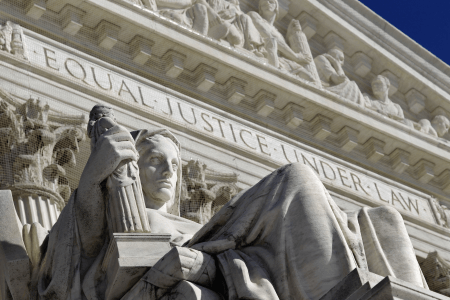 The US Supreme Court makes the final decision on the constitutionality of a federal law, while state courts determine whether a state law is in line with the state’s constitution. Here are law professors from the Appalachian School of Law and the Boston University School of Law discussing the differences between federal and state laws.